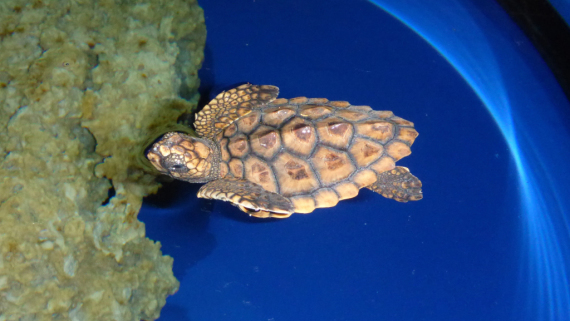 Two hatchling sea turtles arrived at the Aquarium in August 2014. 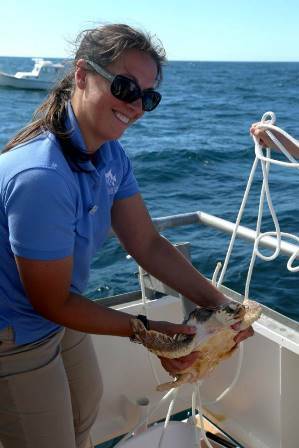 After a year as animal ambassadors, helping to educate nearly 450,000 visitors (and many of you, as well) about sea turtles, they were released last week in the Atlantic Ocean. 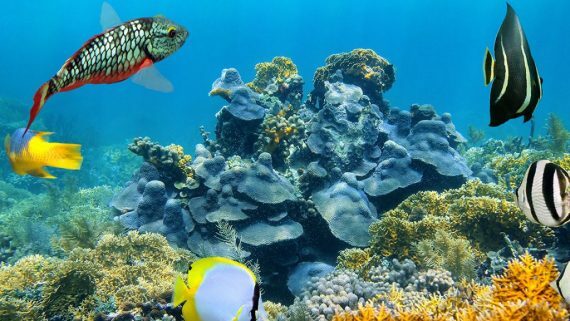 They weren’t the only sea turtles returned to their natural habitat. 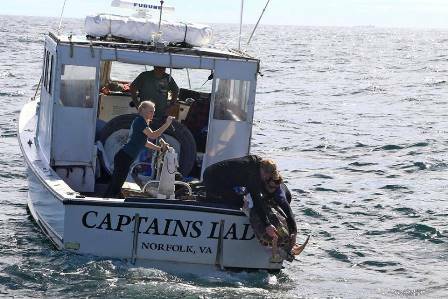 More than 11 zoos and aquariums from all over the country came together in North Carolina and released a total of 47 sea turtles, including our two yearling loggerheads. 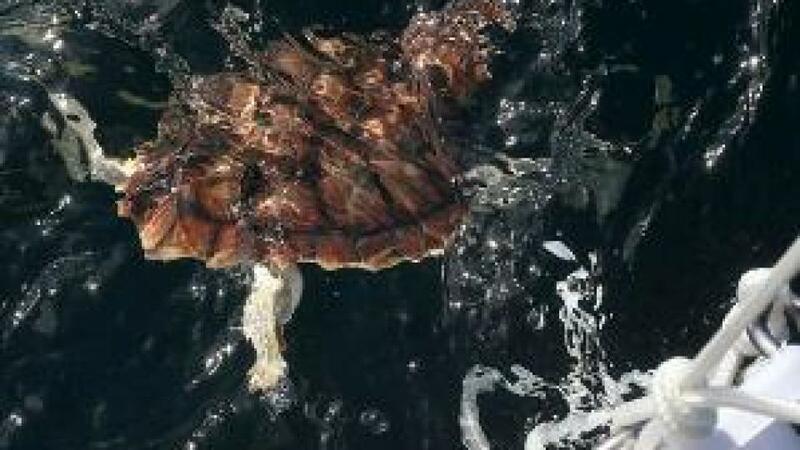 Many of the sea turtles from other facilities traveled by car and plane before taking a final boat ride 27 miles offshore to the Gulfstream for their release. 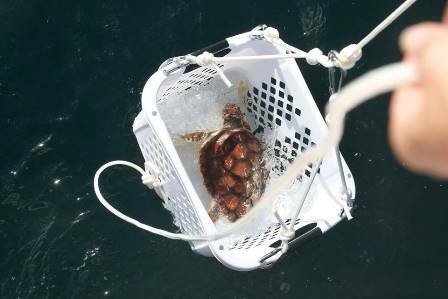 A one-year old loggerhead made the farthest journey, traveling from the Monterey Bay Aquarium in California where it was cared for over the past year. 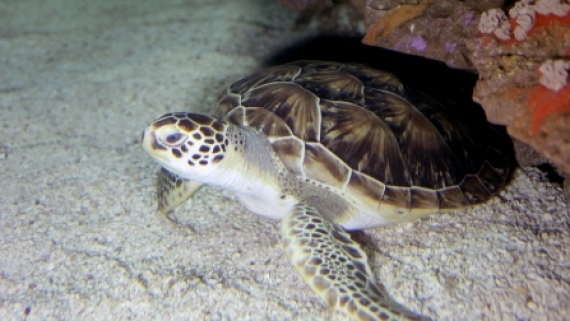 How do you safely transport turtles many miles by air and by sea? A Monterey Bay Aquarium staff person shows us as he transports sea turtles to the boat! 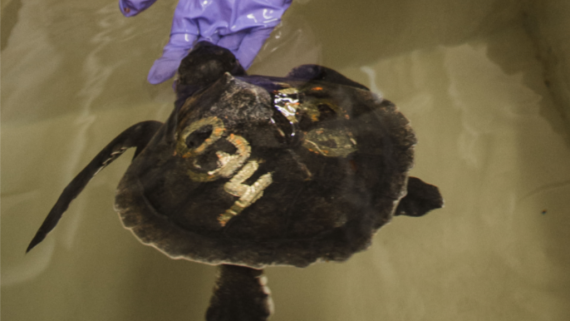 Many of the sea turtles that were cared for at other facilities including the PPG Aquarium in Pennsylvania, the Mystic Aquarium in Connecticut and Monterey Bay were hatchlings from North Carolina. 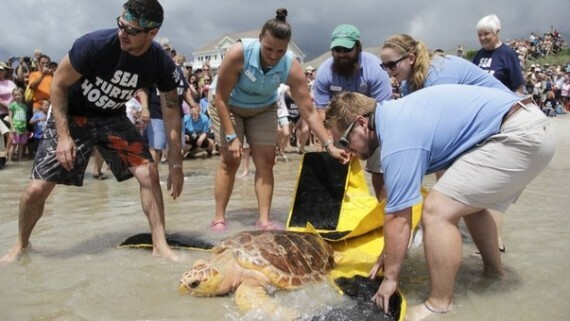 All of the turtles were given final checks by veterinarian staff before their release. 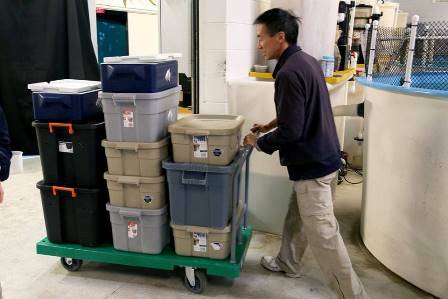 This grand sendoff for so many sea turtles shows the great partnership of zoos and aquariums to help save threatened and endangered species. 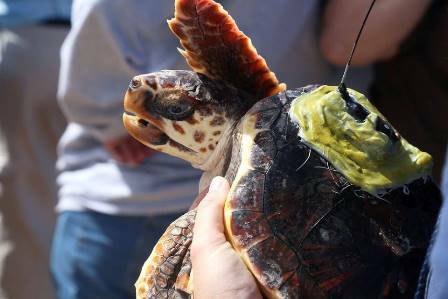 In addition, some of the turtles were large enough to be equipped with satellite tags, allowing researchers to track their movements. This work helps scientists learn more about sea turtles and their behaviors far from land. To review the yearlings weight and length measurements that were recorded while they were in our care, check out the table below. Just like the yearlings that were released, our new hatchlings will also be released next year after they grow big and strong into yearlings. They continue to grow weekly! Turtle A is 236 grams and 11.0 cm and Turtle B is 211 grams and 10.3 cm. For more information on what to do with those numbers, please check out our lesson: Hatchling to Yearling.